Obviously, you are running a blog and giving your precious time and working hard for providing the best content and information to your readers so it’s your right to earn money. Well, earning money is not easy at all! It’s neither a game of one night nor even a game of one month or two. Earning 4 figures or sometimes even 3 figures from a blog takes at least 2 years. There are many different ways you can earn money and many programs available through which you can earn money like affiliates, Selling a product, offering a service, Monetizing your blog with ad networks. Google adsense is the most popular program to make money. So I better talk only about that one to share my experience with them. Although, Google Adsense is more popular and high paying than infolinks but my experience with google adsense is not good. Why? There are many reasons but I have listed top reasons why I don’t use Google adsense. One of the main reason for me is that my blog niche is blogging. My readers are bloggers who wants to earn money. So why they are going to click on my ads? Other big reason is “Approval”. Getting approval from Google Adsense is damn hard while for infolinks is too much easy. That’s why I choose and recommend Infolinks. In this guide, I am going give a review on an Ad network known as Infolinks. I am going to tell you each and everything about Infolinks. What is Infolinks? What they offer? Why you should use Infolinks? What are the alternatives of Infolinks? What are the Plus points of Infolinks? What are the Negative points of Infolinks? What Exactly Infolinks is? What are they offering? 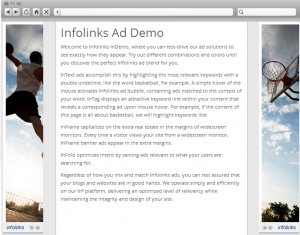 Infolinks is the popular online advertising program which is basically based on in-texts ads. They are more popular among the small blogs. In-text ads mean that you don’t need extra space on your sidebar or header or anywhere on your blog. You just need quality content and there you go. You can earn revenue by driving traffic to your website and when the traffic clicks on intent based/in-text ads you earn revenue. Sign now now for FREE! 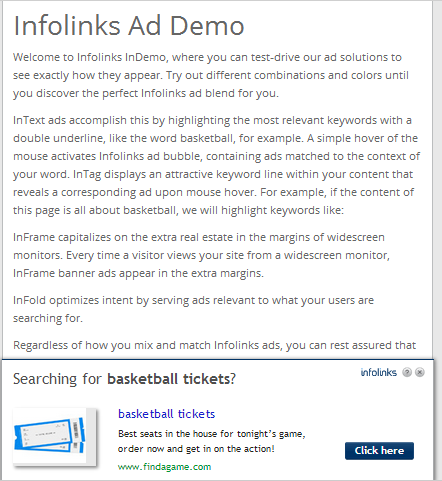 The reason why you should use infolinks is that they offer you 4 types of ads unit and they are In-frame, In-fold, In-tag, In-text. Now it’s up to you how you want to monetize your blog. Either you can choose only one type or you can choose all three. This offering from infolinks is basically the reason they are going popular day by day because this helps the blog owners to increase their revenue in a great manner. InFold optimizes intent by serving ads relevant to what your users are searching for. These types of ads are shown in the bottom above the fold as a banner. No need for extra space. When a reader will scroll down, this ad will also scroll and continued to show above the fold. With the close button (x) your reader can close it if he doesn’t want to see this add. Here is the example of inFold ads. You can check the banner ad at the bottom. These types of ads works by highlighting a word by double underline. When some one hover over the word, which is double underlined, the ad will appear. Hence, if your reader would be interested in the ad related to higlighted word he can cilck on the ad and this is how the blog owner can earn. Check this example of Intext ads. These ads will be appear on both sides of your blog in the shape of vertical banners, keeping the article/post in the middle. If you scroll down the web , these ads will continue to appear. They are big vertical banners. These 4 types helps the blog owner to earn more by monetizing the blog with the ads in 4 different types.Hence, your reveue will be increased. Getting approval is too much easy as they do not concern with the number of visitors of your blog. However, they will check your blog first to assure that there should not be an inappropriate content. No big and extra spaces is required to show the ads. Revenue can be increased by monetizing your blog with all the 4 types available. They have got active support team. Always active whenever you need a help. Easy installation! Yeah the installation process is easy for all the platforms like Blogger, WordPress, Joomla etc. If you are using WordPress then there are plugins available for you to put the ads wherever you want. Payout threshold is low as compared to other platforms/programs available. You can use infolinks with other networks too. Like if you are using infolinks and wants to increase your revenue then you can use any other ads program as well. They have got no problem and no harm will be done! Amazing? You have got full control for placing the ads. Put the ads wherever you want to. No restrictions! Ads are available on all the mobile devices. Which is not good but great from earning point of view. Sometimes. Infolinks shows irrelevant ads which are not even relevant to the topic. Hence, reputation of your blog, interest of your reader and your earnings badly hurt because of this. InFrame ads make your site and advertising agency ! The beauty of your blog hurts badly because of these InFrame ads. If you use all the types, two things will happen. 1- Your site will look messy 2- Ads sometimes overlapped each other which is not good if you want to maintain the reputation of your blog in front of your readers. They are only available in two languages i.e English and Spanish. Sorry if you are running a blog in languages other than English and Spanish. You will not be able to earn $$. What about Payout and Payment method? There are many payment options available on Infolinks like Bankwire, PayPal ,Western Union, eCheck/Local bank transfer and Payoneer as well. Minimum payout for wire transfer is $100 while for all other payment options it is $50. People in Pakistan and India where PayPal is not available the best option for them is eCheck and Payoneer. My answer will be YES! But use other platforms and business models of earning as well in order to earn 4-figures ! I recommend using infolinks because they are much better, easy to customize, easy to get approval and finally low payout which means less wait. Are you using Infolinks? Share your experience with us. its sad to hear that some stupid did this to you ..we work hard to get approval from adsense and when somebody does this stupidity then it really hurts. I have got approval after three attempts and if that will happen to me then it will definitely frustrate me …….but there’s one thing on which i don’t agree with you is that you said above is, adsense is the best way to earn money from blog…i don’t think that there’s a lot of ways to earn much better than Adsense …one of the biggest example is affiliate marketing and affiliate networking. Well, Infolinks is a splendid alternative to Google Adsense but I think you must write a review about Media.net as its trending a lot these days and many people want to find out it about its cons and pros! Sure, Infolinks will work with AdSense. There’s no issue in using both of them together. CTR will be similar to Adsense because every advertising companies pay low for Asian traffic i.e India. Long time no speaking, how are you? Glad to see you on my blog. Just busy with the studies. Trying to find time to manage the blog. Thanks for sharing your experience with infolinks. I appreciate it! Yaa ammer this is true that infolinks is a very good alternative of adsense. I am also using Infilinks on my blog and making $20 daily. 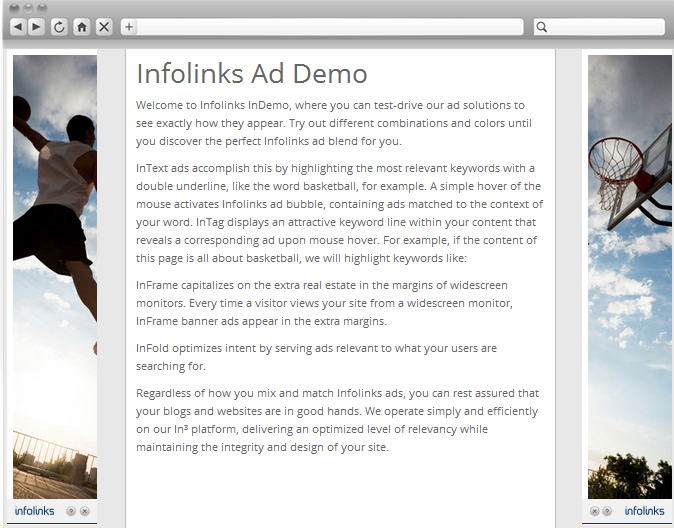 Infolinks has a lower CPC than Adsense, but it is still good. By the way,are you aware that Infolinks has an affiliate program too? Just contact them and they will send you your affiliate link. It’s true that AdSense doesn’t work well for some niches but still it’s the best way to monetize any site that gets some visitors from search engine. I’ve tried other advertising programs including infolinks but none worked like AdSense. This is a good detailed review of infolinks. 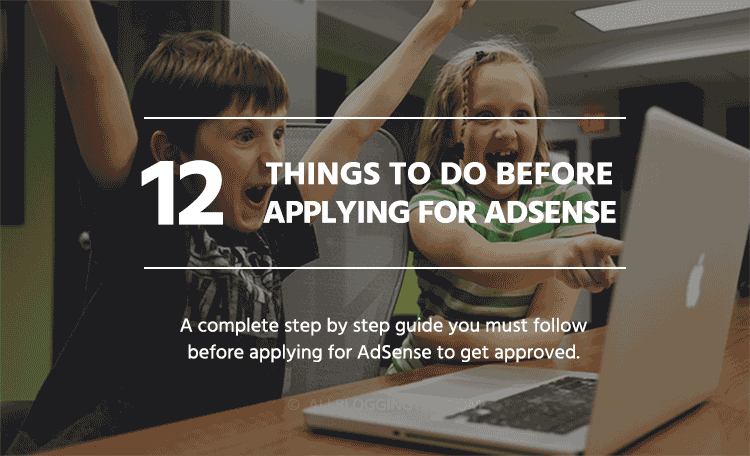 I also hear getting approved by Adsense is not easy. I’m planning to build a few sites on non-IM niches and am probably going to use Infolinks beside other forms of monetization. And yes, using Infolinks only as a form of monetization is not a wise move. You need multiple sources of income. Don’t know what’s their magic or something else But infolinks ads are better and it do generates Money and also the rate is very best. With adsense a Normal blog owner having daily trafic of 4k can easily make an additional 50-100$ month using this In-Text Ad Technology! I don’t like their inframe ads at all, it kills the beauty of your blog and gives the impression that you’re only interested in advertising. Though I guess intext ads are good and should be used in limited numbers so that users don’t mind it at all. Ammar, Infolinks is a great alternative for Adsense. 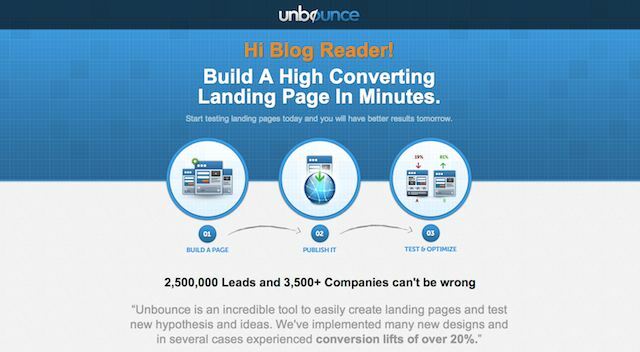 It has a high CPC click rate, comes closer to Adsense CPC rates. Earlier blogs can be easily approved by Infolinks. But now, it’s hard. However, Infolinks is not strict as Adsense in its TOCs. I don’t like Infolinks because of their low CPC and CPM. I think some process of showing infolinks ads on website is bothering for readers like In-Text Ads. I have many friends using Infolinks on their websites and most of them aren’t happy with what they receive from this ad network. They pay low, let’s face it. The reason they use it is because they don’t have an Adsense account, some of them have but cannot use it because Adsense don’t allow to put their ads on such type of content. So… they use Infolinks because they have to. not because they are happy with it. That’s a BIG difference in my opinion. Infolink is great, but it has very low CPC and CPM rate if we compare it with Adsense. Infolinks best suits for a review, education and job portal niche. Its works great on those niche as compared to adsense. Thanks for the review details. I have quick question. If we have only 200-300 page views per day is InfoLinks good to use? And how much we can earn (Just an approximate) ?. Adsense really hurts for low traffic blogs.